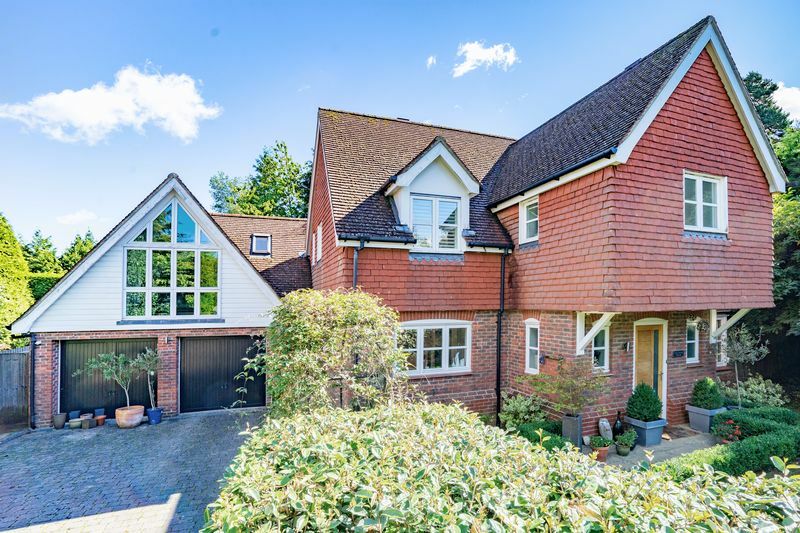 Guide price £885,000 to £925,000. 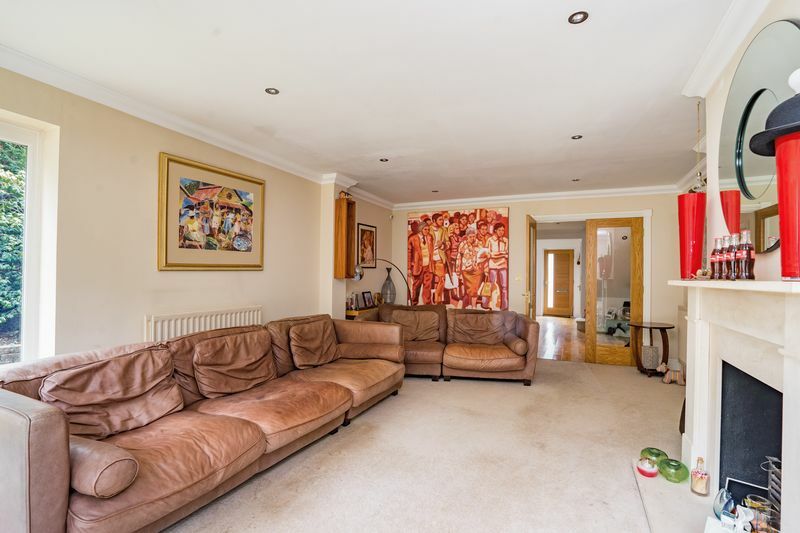 LeGrys is delighted to be marketing this large home with Entrance Hall, Cloakroom, Sitting Room, Family Room, Study, Kitchen/Breakfast Room, Dining Area, Utility Room, 4 Double Bedrooms, 4 Bath/Shower Rooms (3 en-suite), Gas Central Heating, Integral Double Garage, Front and Rear Gardens. 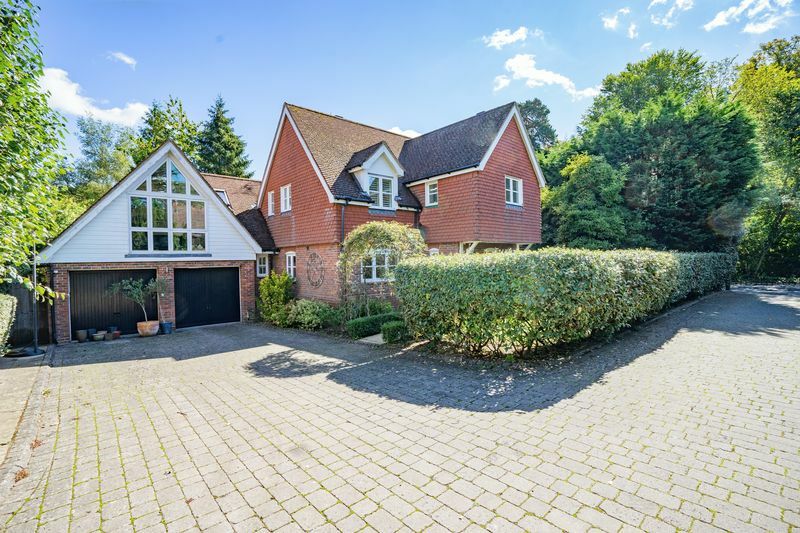 Westwood House was built by Countryside (Approx 2,800 sq/ft) and is a stunning example of a modern detached family home. It benefits from a well-planned layout and an abundance of natural light. 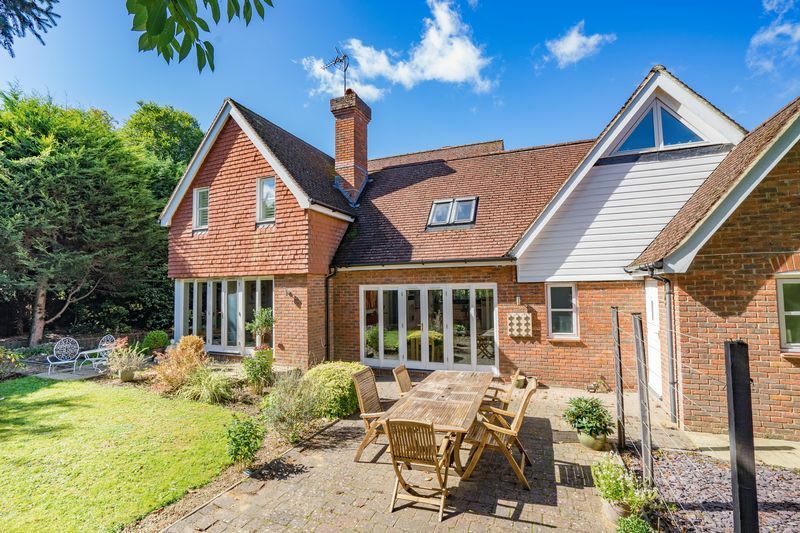 The house is situated off the Pembury Road, on the east side of Royal Tunbridge Wells, a mile from the Town Centre and is one of a select three off a stone paved private drive. 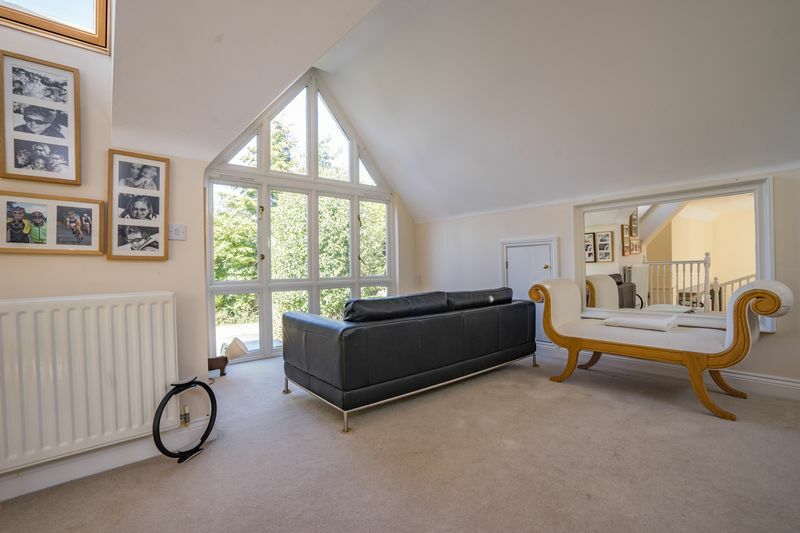 In the Town Centre, there is an excellent range of shopping facilities and recreational amenities, including a sports centre, cinema, theatre, two golf courses and numerous restaurants. 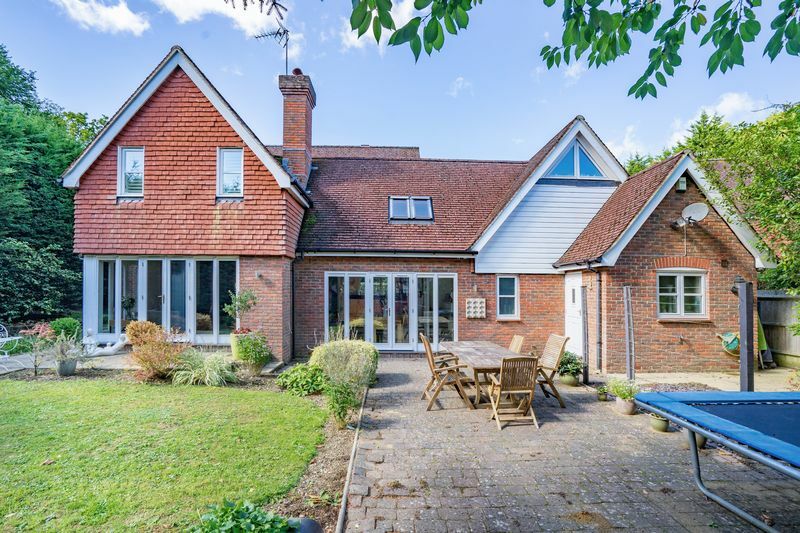 The house is conveniently situated for very easy access to the A21 (half a mile) connecting with the M25. Tunbridge Wells mainline station leads into London Bridge, Charing Cross and Canon Street. 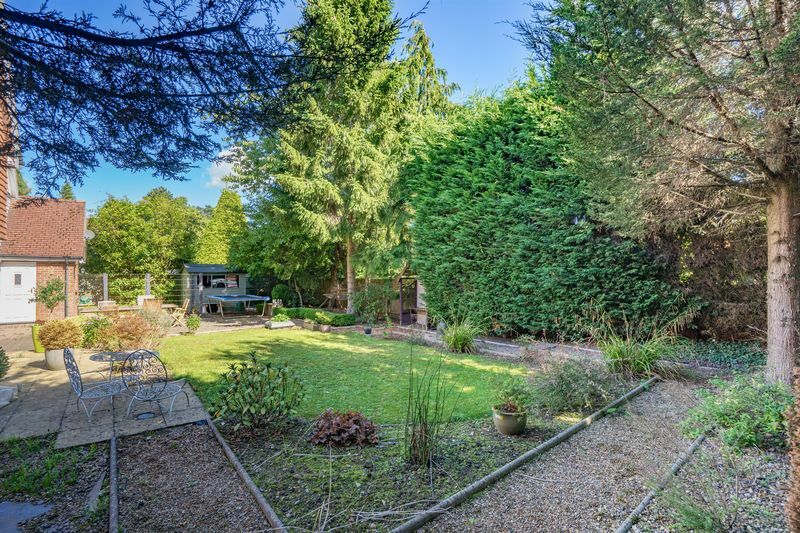 To the front of the house is a well maintained garden with a pathway leading to the front door. Once inside, the sense of space and the abundance of natural light is strikingly evident. 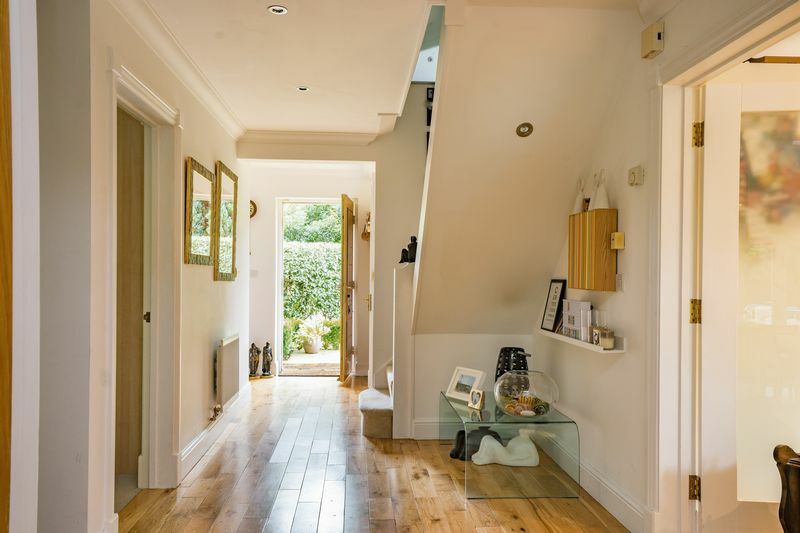 The solid oak floored hallway and glass panelled oak front door immediately set the tone for this property. 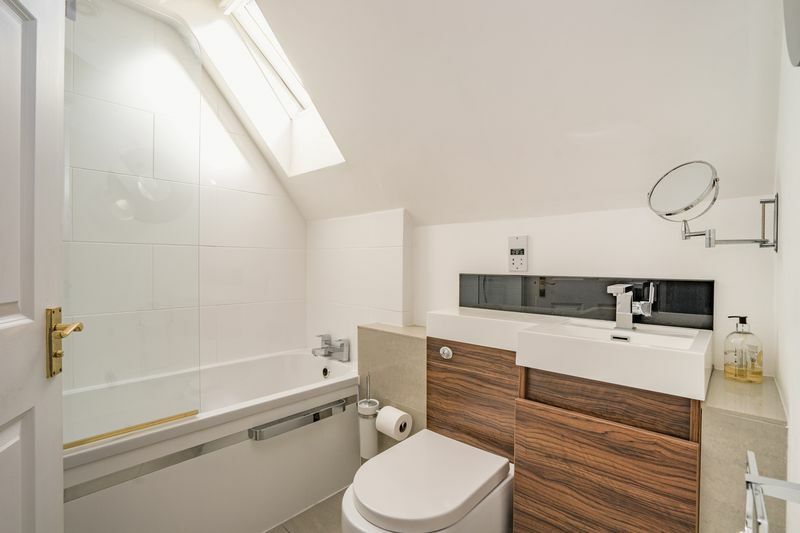 To the left is a cloakroom with polished grey tiles, WC, wash basin and chrome heated towel rail. 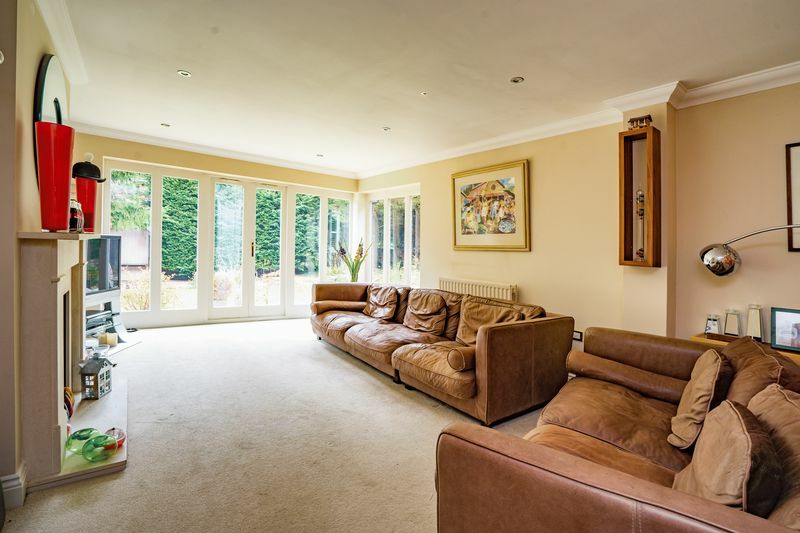 Positioned at the rear of the ground floor, via glass panelled double doors, is the spacious living room. 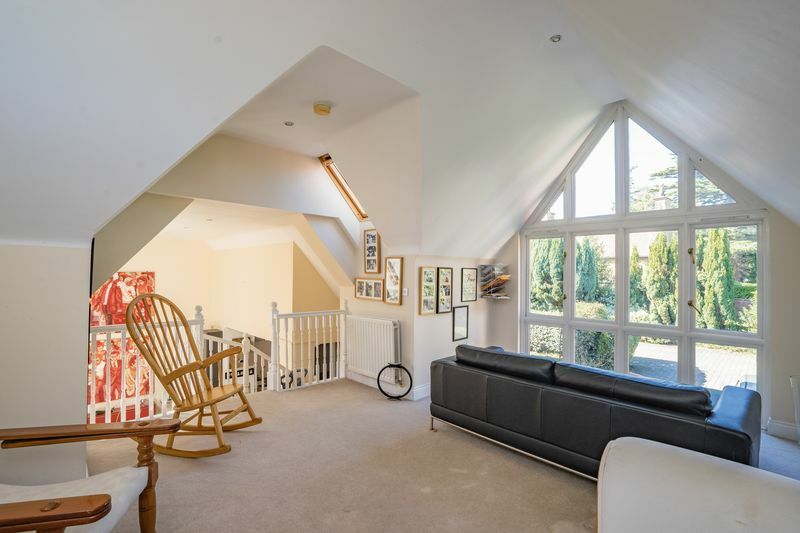 It features floor to ceiling windows on two sides of the room with french doors leading to the rear garden. There is an open fire place with a solid stone surround creating the focal point to the room. 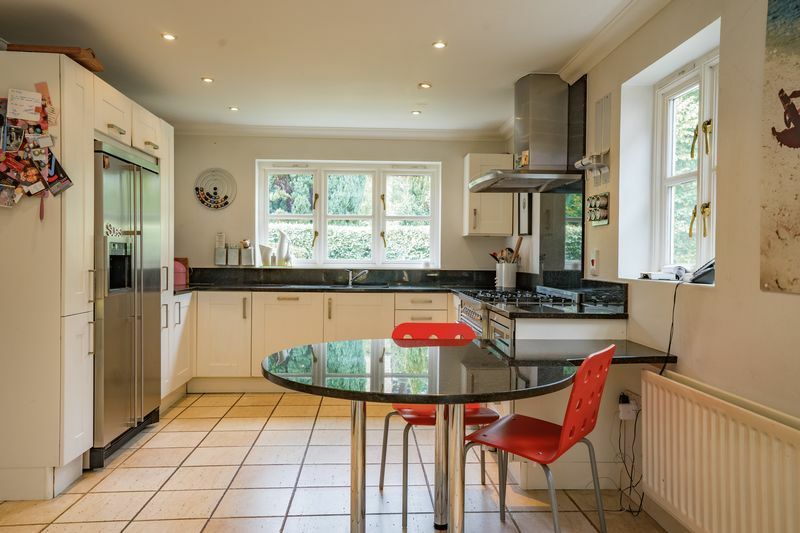 There is an impressively large kitchen/breakfast room and dining area which really does have the wow factor. 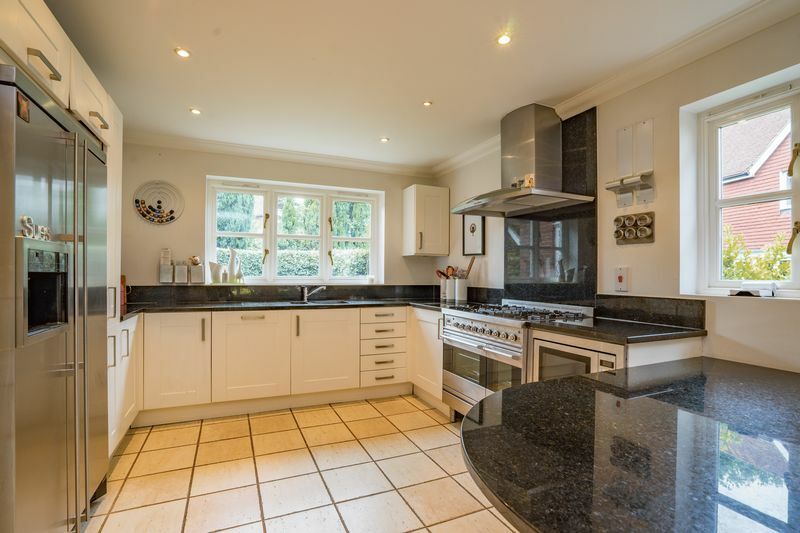 The well fitted kitchen has black granite work surfaces and includes a Britannia double range oven, a Neff dishwasher and microwave and an Amana American style fridge freezer. The granite surface continues to provide a fitted table for day to day dining. 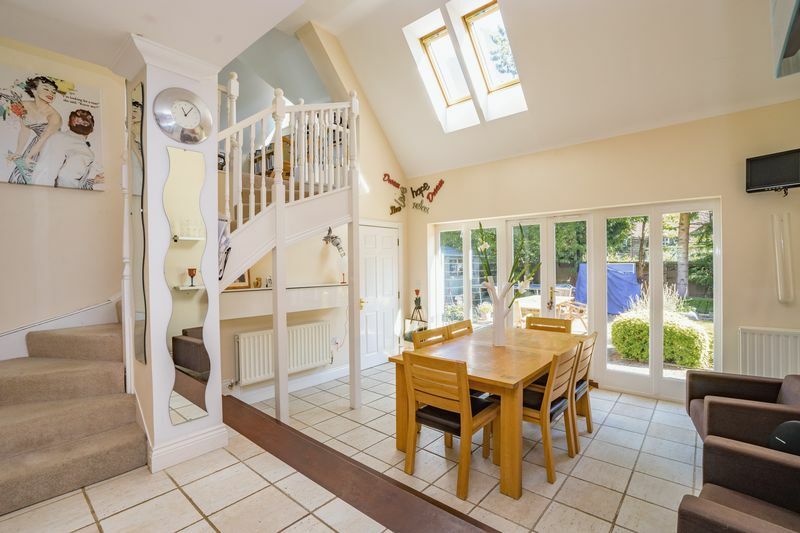 Stepping down from the kitchen is the stunning vaulted dining room which again benefits from wall to ceiling windows and french doors into the back garden. 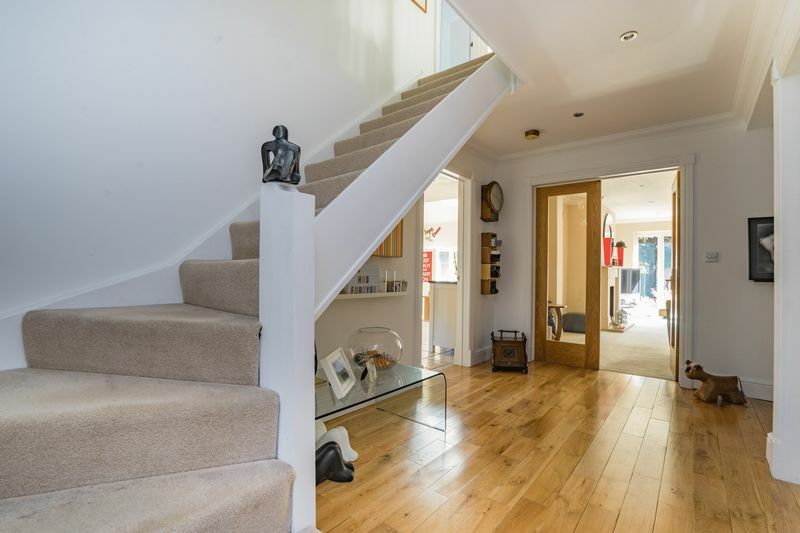 Stairs from the dining area lead to a second reception room on a mezzanine level which has a delightful feature window overlooking the front of the house. 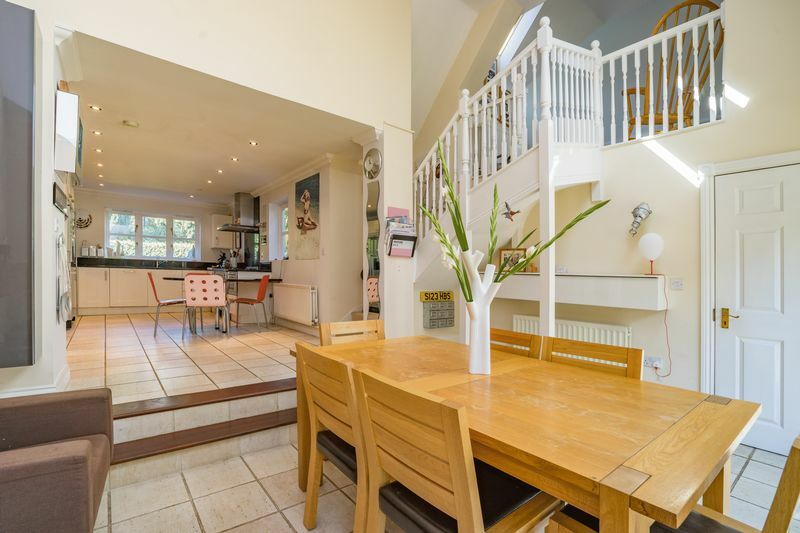 Adjacent to the kitchen/dining area is the double garage with an electric door, and the newly fitted boiler is also situated here. 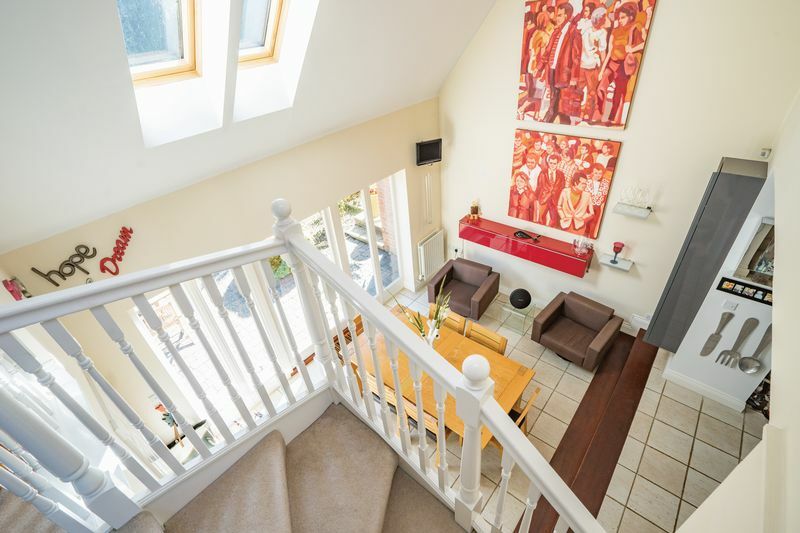 From the garage there is access to the fully fitted utility area which also benefits from direct access to the garden. From the hallway there is an open plan area which is currently used as a study. 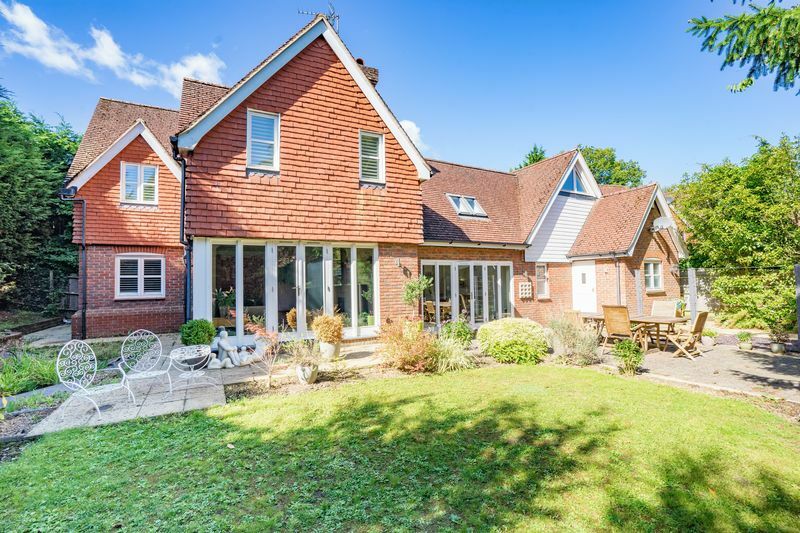 Windows and double doors fill the area with light which lead directly to the garden at the side of the house. 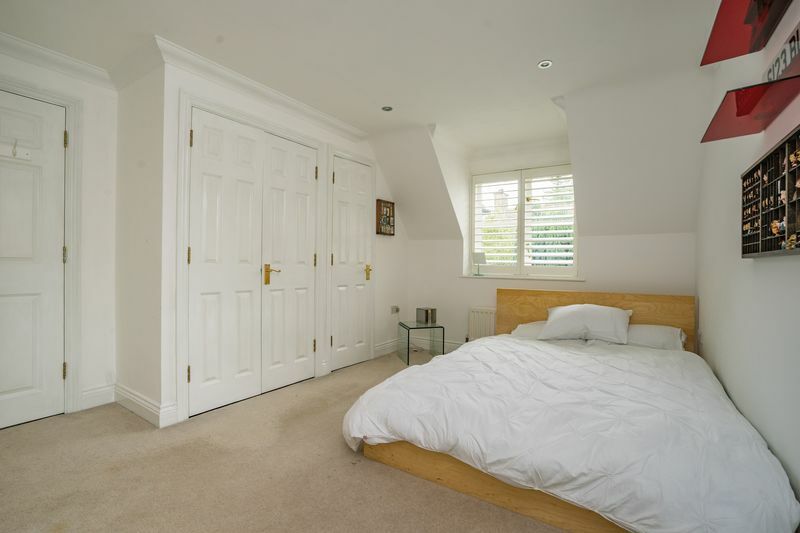 Completing the ground floor is one of the four double bedrooms. 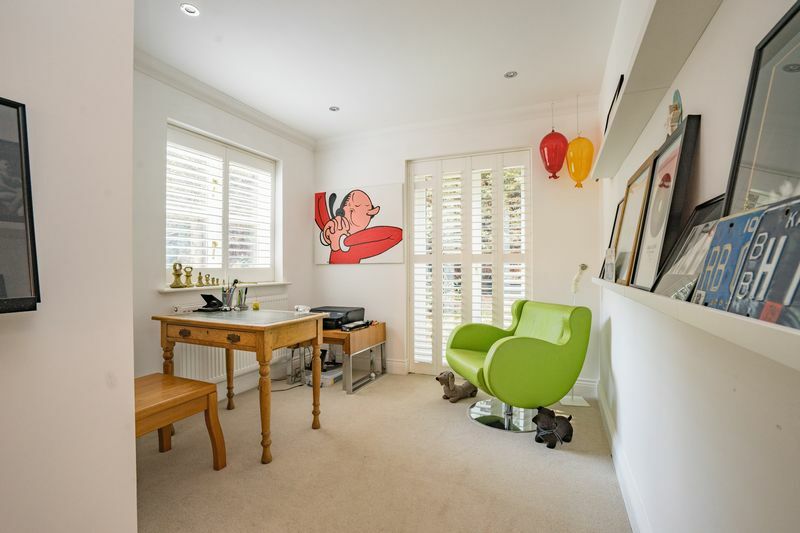 It has a lovely bay window and double doors to the garden all fitted with bespoke plantation shutters. There is also a fitted wardrobe. 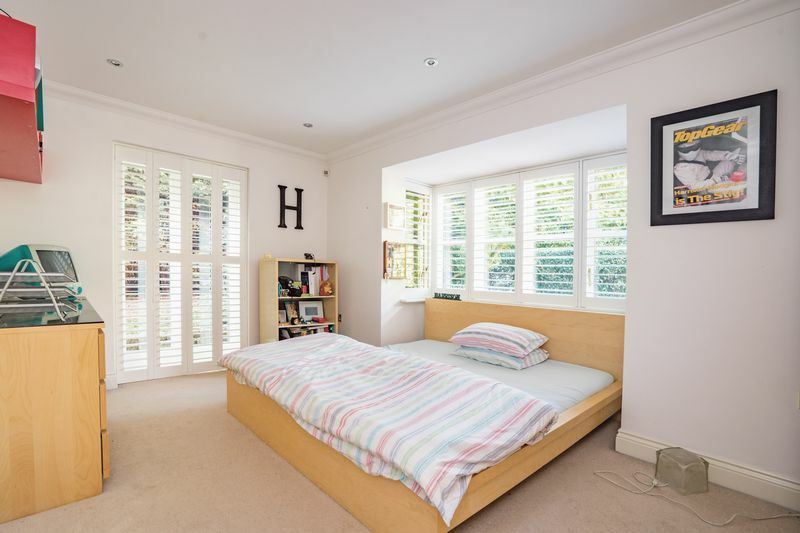 On the first floor you will find three further double bedrooms all with plantation shutters on the windows and all have recently refurbished en-suite facilities. 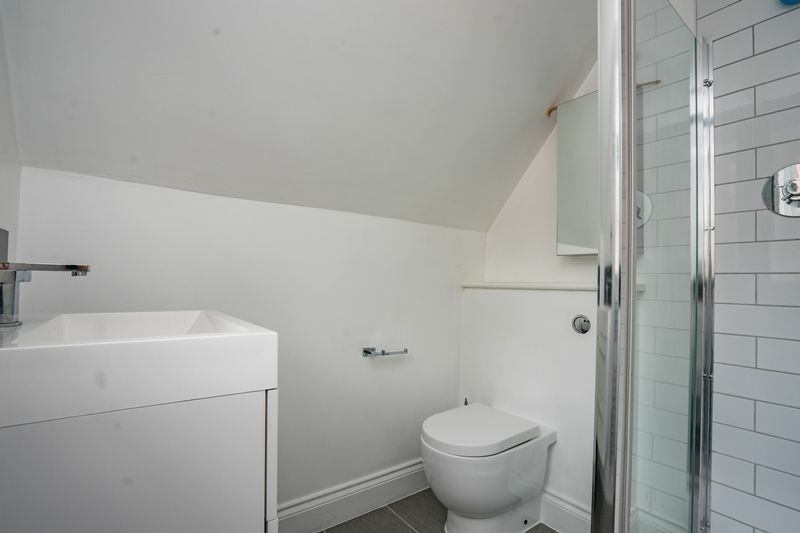 There is an additional the family bathroom. 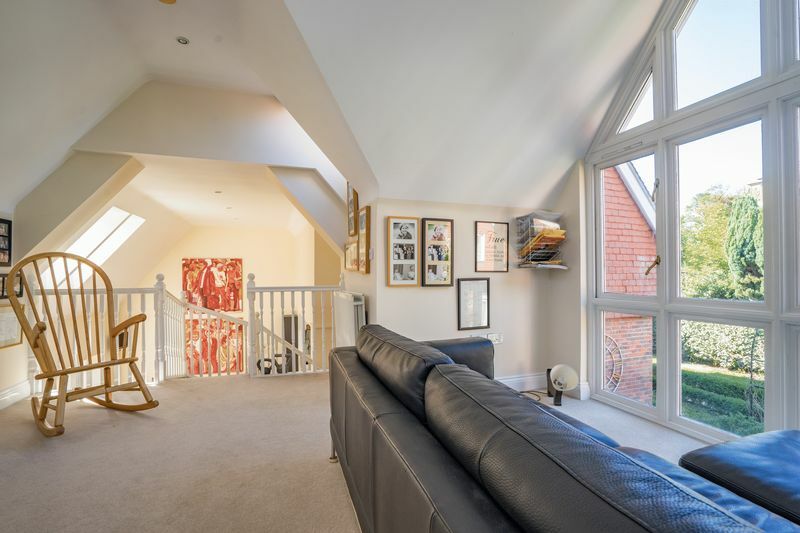 In the landing there is an airing cupboard and ladder access to a large loft. 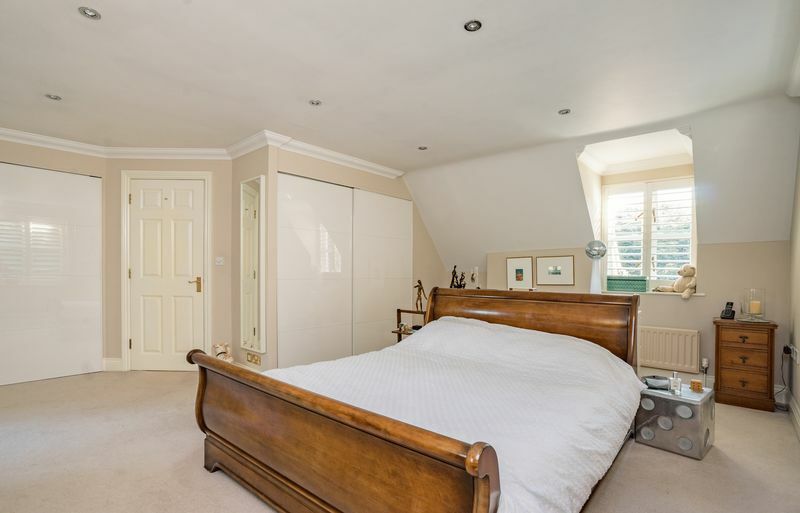 The lovely triple aspect master bedroom is a generous size and leads into a large, beautiful contemporary en-suite. 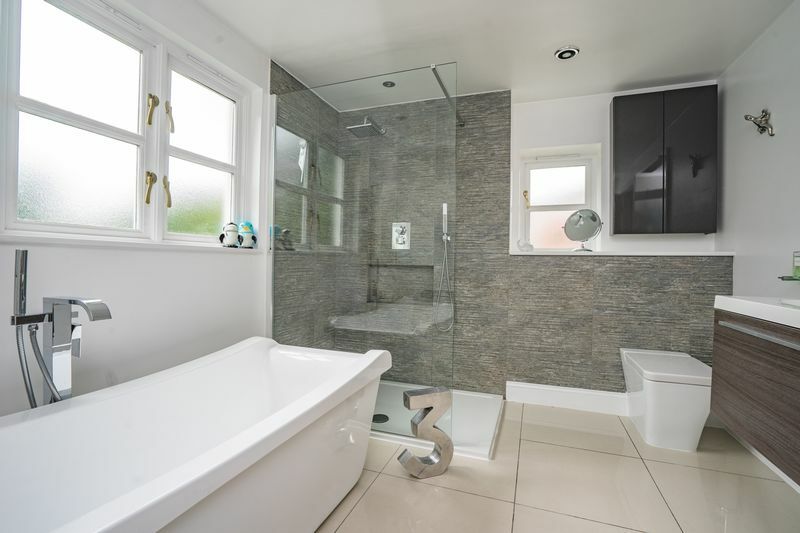 It has a freestanding bath with floor set taps, wall hung wash basin, WC, walk-in glass shower and chrome towel rail. 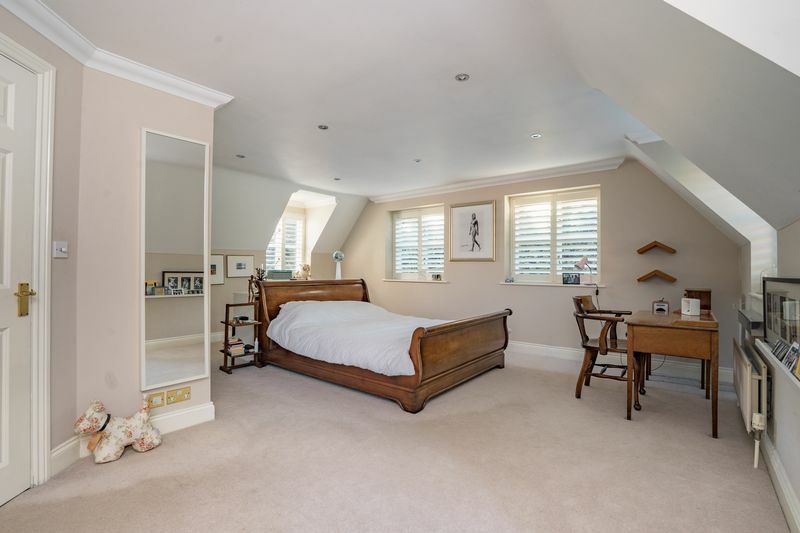 The two further bedrooms are of good proportions and have beautiful en-suite shower rooms with quality fittings throughout. 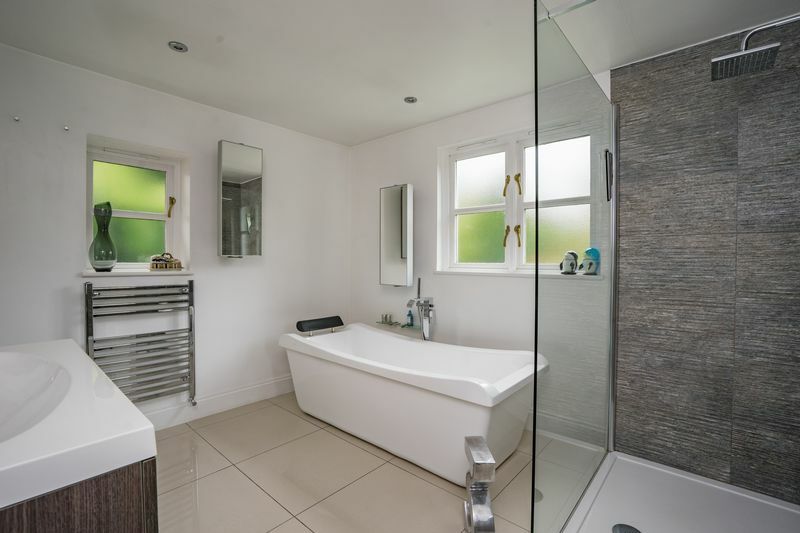 Completing the first floor is the family bathroom which has a fitted bath, shower, WC, wash basin and chrome towel rail. 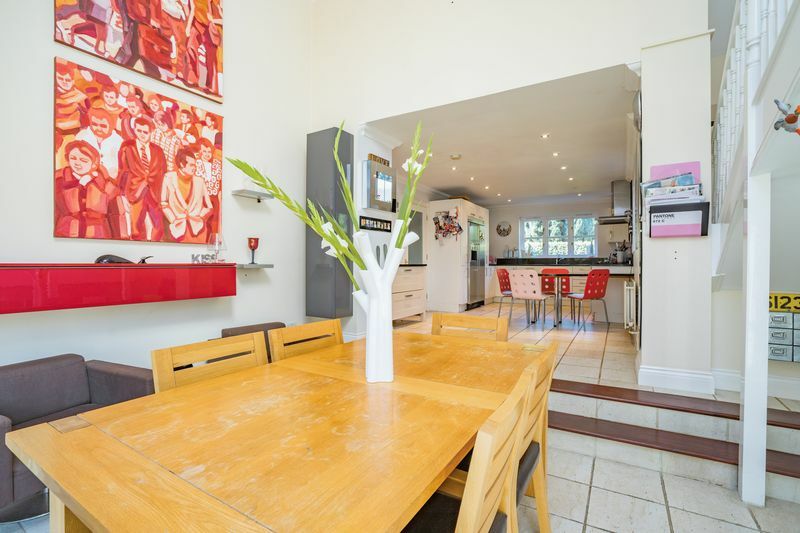 To the rear of the property you will find a well maintained garden with a generous patio area and a large shed. There is side access to the front of the house where you will find a paved driveway with sufficient space to park for four to six cars.